The holidays are here again, and we’re all looking forward to getting ready for holiday parties! Opportunities to celebrate the season are around the corner. Everyone is getting invites left and right, and it’s essential to show up and party in style! This is the perfect time to spruce up an old outfit or shop for a new holiday look. As you are prepping your wardrobe and accessories, don’t forget that your hair deserves some attention too! 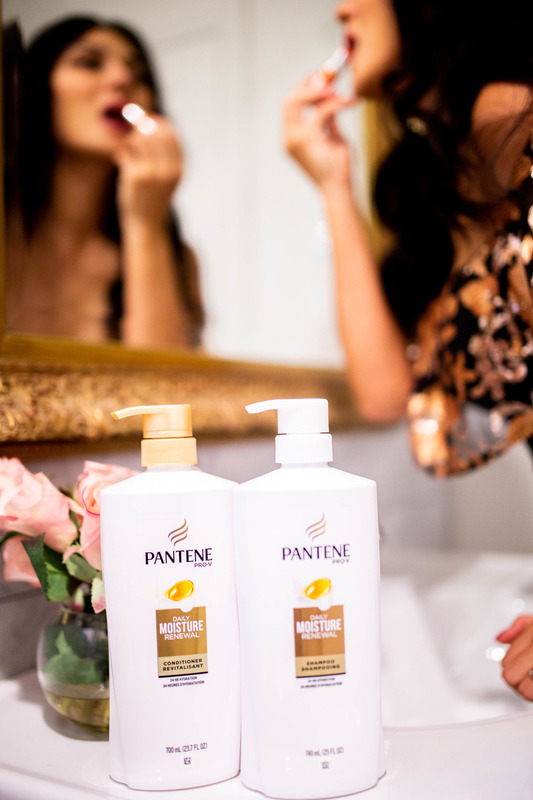 Pantene at Walmart is here to help you look your best for the holidays. Your hair health will be reflected in your hair’s appearance and style. All of the details count! Take the time to find the perfect ensemble, whether it is from something you own or buy. If you decide to order online, make sure to allow ample time for shipping, in case you need to make exchanges and returns. When selecting an outfit color, you don’t need to wear primary red and/or green to look “festive” (unless it is an ugly sweater party, LOL!). I have always loved being different. In addition, don’t feel like you have to buy something new either. The best place to shop for me is often from my own closet. This stunning black bodycon dress that flares into a mermaid maxi skirt is my favorite! It is an oldie but a goodie. The ruffle top with sequins gives it the perfect holiday sparkle. Lay out all of your attire options, footwear, and accessories and have a try-on session in your bedroom. This helps to narrow down that winning outfit with precision and ease! I like to take cues from my outfit when I decide on what makeup colors to use. The idea of using a red lipstick to match my holiday look is exciting to me! My problem is finding the right shade of red to complement my skin tone and outfit color. This year, I decided on a red that has a bit of orange for a fresh, warm look! Eye makeup can be more neutral, as I want my lips to be the focal point. My tip is to decide which part of your face you want to play up. If it is your eyes, then tone down the lip color. If you decide to use a bold lip color, make sure your eye makeup is neutral so the two do not compete with each other. When you are finished with your makeup look, I highly recommend a makeup setting spray. Lightly mist your face with a makeup setting spray to keep your makeup in place all night long! I am obsessed with taking care of my skin. This means giving my skin extra attention the week or weeks before an event. I do this by using a hydrating mask and/or exfoliating mask. It is like my skin is getting a new start. I also like to shave my legs the night before an event because I feel more comfortable this way. Use a moisturizing lotion on your face, body, and legs, and pay extra attention to your hands, elbows, and feet. Speaking of feet, take the time to get that manicure and pedicure a few days before your event. It is awesome to feel completely comfortable and confident in your skin. I want my hair to shine, literally, before an important event. I take the necessary steps to ensure my hair is looking its best. Whether it is a hair dusting (a new trend where you just get the splits cut from your hair to preserve its length) or a repairing hair mask treatment, make sure to incorporate these steps at least a week before your party! And don’t forget the power of using a moisturizing shampoo and conditioner regularly. My favorite? 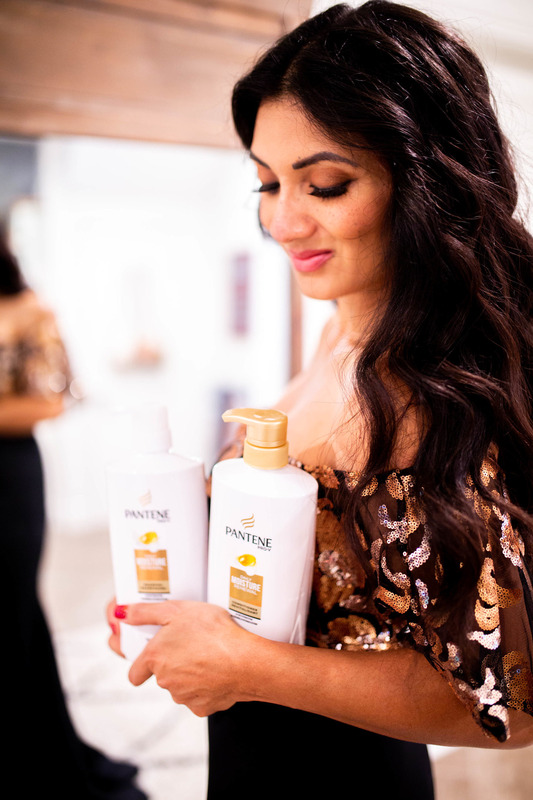 Pantene Pro-V Daily Moisture Renewal Shampoo and Conditioner. It provides 24-hour hydration to your hair. My hair feels so soft and manageable. The shampoo provides a nutrient-rich lather, and the conditioner nourishes my hair and makes it strong. Clean, healthy hair is the basis for great–looking hair and the base of a beautiful hairstyle and the perfect way to get ready for the holidays. 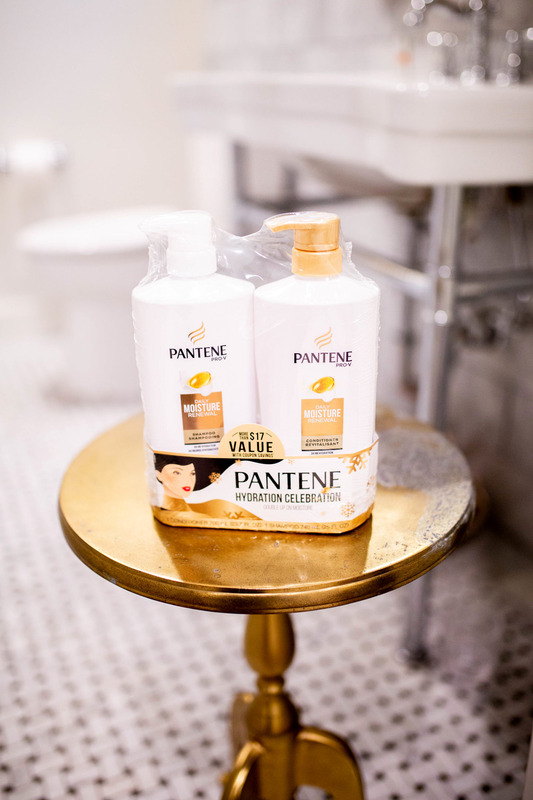 Right now, you can save big on the purchase of a Pantene Pro-V Daily Moisture Renewal Shampoo and Conditioner Dual Pack. The packs are just $9.98 and have a $17 value, which means big savings when you buy the set! In addition to saving money, your hair will look and feel luxurious. Talk about a holiday win! 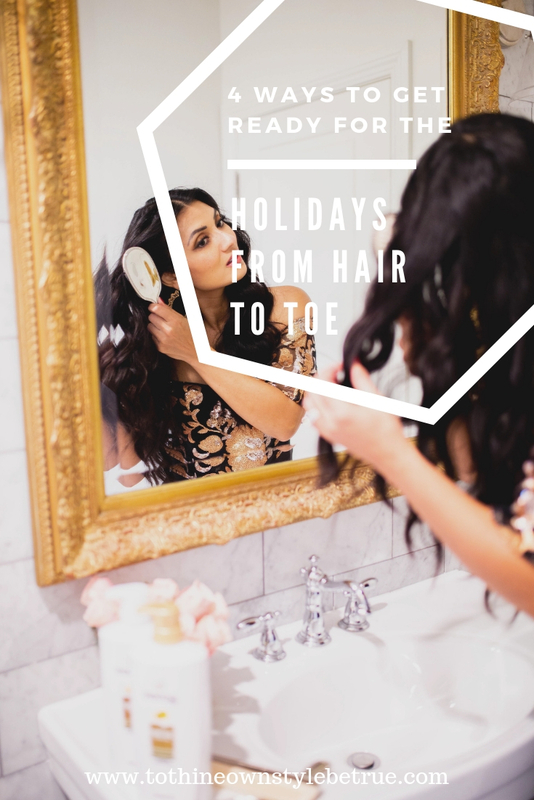 Now you are all set to get ready for the holidays from hair to toe with these beauty and styling prep ideas! How do you get ready for the holidays? Next Post Yellow Pleated Dress + $500 Target or Amazon Giftcard Giveaway! Your hair is so pretty! I love it! 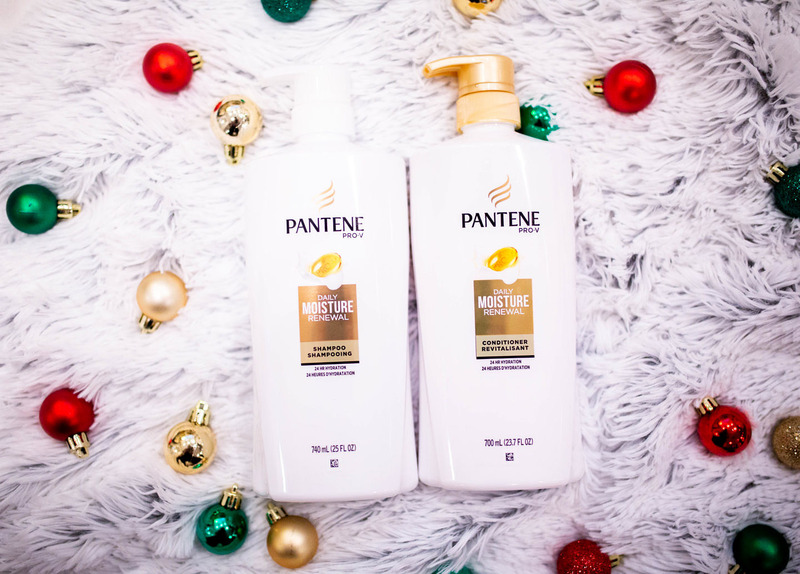 Also huge fan of pantene products! Thank you so much Neely! Pantene works wonders on my hair! My daughters love to use it too! Happy Friday! When I was younger Pantene was the only thing my mom purchased for our hair. Absolutely love it! I love that your first memory of Pantene is associated with your mama! Thanks for stopping by! Have a great weekend! I love this…. From hair to toe! 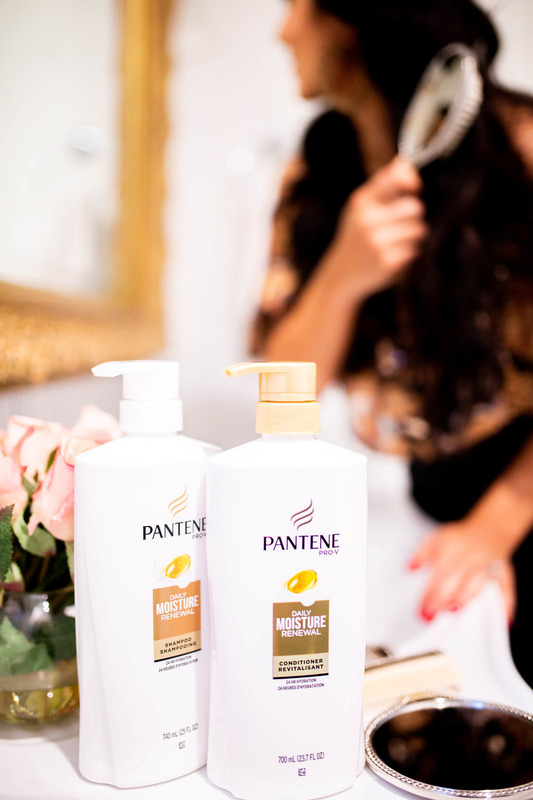 Pantene is one of my favorite hair care products! I’ve been using Pantene ProV for about a year now for my shampoo and I really like it! The last brand I was using kept discontinuing a style as soon as I would find one I liked so I switched and won’t use anything else now! This dress is so goals! I love the gold accents! This holiday look is by far so stunning! You look absolutely stunning in that outfit. These are all products that I would definitely use everyday. Great tips for getting ready for the holidays… I’ve not even started yet – I’ve still so much work to do! I love your outfit! I’ve been getting my skin ready for the holidays, lots of moisture and care. But in doing so have forgotten my hair!! Definitely will do something about that. Loooove all these shots, you look stunning!! This is my go to hair product, moisture rich, makes my hair feel luxurious! Your hair look great and the dress is beautiful! Thank you for sharing your beauty tips with us! I agree. Looking good is a head to toe experience. You look fabulous and ready to rock a party.